Good GMs look for game elements players can relate to, such as when the PCs lose something and want to get it back. A straight “NPC X stole your whatsit” scenario lacks punch though, so a good GM looks for more than mere baubles to steal from his players. A good GM focuses on what the players treasure most. This treasured thing is face. Face is a combination of honour, credibility, public reputation, and ultimately, public status. It is gained by meritorious action, virtue (modesty, charity, generosity, diplomatic truthfulness), and skill (generally non-physical skills related to knowledge, education, social grace, or artistry). True face cannot be bought, sold, or stolen (although it can be sabotaged). It is an intangible public asset willingly given to those of merit. Face can be a great asset or a great hindrance to PCs. If they have no face, they cannot be trusted. Without trust, few NPCs will willingly help them, which can manifest in surprising ways to PCs who haven’t given much thought to their face. Worse yet, nobody will tell them why they are being treated like this because nobody wants to talk to them. High-level NPC groups might hear of their acts and start tracking down the troublemakers. Weak NPCs confronted by the PCs might run screaming for help, and the distinctive armour, weapons, and heraldic devices become a handicap to the PCs as they are instantly recognizable. In extreme circumstances, divine spells or other granted or channelled powers might dry up. What started all this? The PCs lost all or most of their face. This might be something nasty the group did, or a monstrous act one PC did and the others condoned, such as not turning a felon over to the authorities and continuing to associate with him. Without some kind of public penance, the PCs are doomed to being treated as the dregs of society. A penance might cost them pride, but pride is a sin, so they regain face by publicly renouncing their mistakes and embracing virtue. Penance can come from a number of ways, but it is not necessarily running out to slaughter the nearest monster. The key is a display of virtue (selfless bravery, generosity, concern for others), not a display of power. Flaunting power is egotistical, and egotism is not a virtue. The Unjust Loss of Face is a great way to introduce face into an existing campaign. The PCs suffer a loss of face due to little more than unjustified rumours. Somebody did something and the PCs are being blamed (maybe on purpose, proving a physically weak but sociallyskilled opponent can still be a nasty adversary). The benefit is the PCs have a chance to get out of a hole without sacrificing pride, and you have kicked off a social adventure — the PCs need to find the truth and prove their innocence (remember, most or all of the influential NPCs in town might now be hostile or suspicious of the PCs). A truth is distorted: someone attaches the PCs to an ugly incident. Doppelgangers/doubles commit atrocious acts and blame the PCs. A minor incident involving the PCs is inflated beyond the truth. An enemy blames self-inflicted damage (physical, social, or commercial) on the PCs. Rivals within a Guild/Order/Temple commit the crime and shift the blame. example, letting their shadow fall across the Hierarch’s feet, or wearing a visible weapon on Dolphins Day. Evil characters love having NPCs spread rumours of how vile or powerful they are. It falls to the DM to reverse the virtues their society expects of them. Don’t bother accusing them of doing things good guys hate. Instead, accuse them of things fellow evildoers hate. Sold cult secrets to the Avenging Order of Badguy-Mashers. Deflowered the evil overlord’s sacrificial virgin. Skimmed the take from a recent heist. run clever antagonists can use whatever it takes to sully their names. PCs find themselves in a shark tank and the smell of blood is in the water…. PCs need not only discover the truth, but also prove it to large numbers of people — the same people who might no longer trust them. GMs should help this along by providing a number of ways for the PCs to prove themselves. Witnesses to the real incident, or to the boastful speeches bad guys are prone to, surface reluctantly. Secret journals of the bad guys are found. There are logical impossibilities in the false version of events. Don’t count on players discovering the one and only well-hidden flaw. They might never see it, or they might not interpret or exploit it to full effect. Instead, keep scattering those clues around until they start getting it right. Be sure to prepare clues before sessions, which avoids improvising clues that later seem implausible or contradictory. The occasional powerful NPC might be kind, altruistic, or bribed, and cautiously help the PCs. 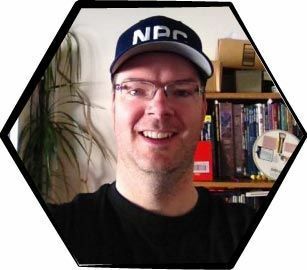 A calm and well reasoned argument (possibly backed by previous good and loyal service, or hard cold cash) might move the NPC to give the PCs a last chance to clear themselves. When (if) the PCs finally manage to reclaim or regain their unjustly lost face, there is often a backlash against the evildoer who did them wrong, and a big part of this is the PCs’ face will rebound to original levels (or even higher). A big, cathartic, final scene where the villain is confronted (but not slaughtered), with a higher authority recognizing the PCs as being right all along, is a satisfying way to start wrapping up the adventure. Wrongdoers will find themselves punished as the PCs were by losing the trust of others, and by being snubbed by society. GMs can now orchestrate a few public apologies from NPCs who previously snubbed the PCs (they have lost face by lacking the wisdom to discern the truth, and now seek to regain it by a display of social grace, eloquence, or humility). PCs who display virtue during these encounters (modesty, humility, graciousness, or wisdom) gain face. PCs who visibly hold grudges are displaying a notable lack of virtue, which may translate into a moderate loss of face, and the cycle begins anew…. [Tip: This might be a good time to award experience points, maybe a bundle of them with each apology or post adventure encounter. Be sure to award extra XP for good ideas and roleplaying, and tell players which bits deserved the most. This will encourage them to repeat meritorious behaviour. The characters should know, and be known, by many NPCs. The PCs will enjoy face gained from previous (presumably heroic) actions. The PCs won’t be powerful enough to stand up against the entire city guard or temple defenders. Cities or large towns are fine settings as they provide lots of hiding places for bad guys and good guys, and city walls provide comfort even as they hold the PCs to answer for their actions. Keep the adventure limited to one game session. This prevents players having excessive downtime to calmly analyse their situation, which helps them generate solutions but diminishes their emotional engagement. During play, listen to group debates and encourage the right ideas by handing out crumbs of info/reminders as hints. Prefigure key elements, such as cultural taboos and previous high-profile examples of lost face, and introduce them into the game world gradually as you lead up to the face session. This better equips players to deal with their loss. [Tip: Your game system doesn’t have a stat for face? Introduce one a few scenarios in advance, with a brief list of items that gain/lose face. A basic list of virtues can be found at: School for Champions: Ben Franklin’s 13 Virtues. By the end, your players should have more respect for the rules of the society and the consequences of a bad reputation. They will probably be motivated to greater displays of virtue. If the PCs have gone the other route by embracing their darker selves, then a good DM will need to be ready and avoid punishing them. Rather, you might decide to provide more examples of the rewards of virtue versus their current path. Keep that spiked club handy though. A quick trip into a harsher society might convince them to try to climb back out of the shark tank. In any case, players will have a heightened awareness of the social side of your campaign, which is a great step toward good roleplaying.